With the beginning of a new year it is no surprise that new trends are going to come our way. And even though making predictions about them always comes with a risk of being wrong, some of the following have been lurking around the corner for such a long time, that it is safe to say that they will fully enter the world of digital and web design this year. As web design itself is quickly adapting to digital preferences and revolutions, it is part of our job to keep up to date on the newest trends to make sure that we can make your digital brand and website shine in a way that your customers can’t help but feel attracted to it. So without further delay, let’s dive into the newest website design and technology trends and see what 2019 has in store for us! Nowadays, consumers and brands interact with and through several platforms online: emails, Social Media, websites, CRM’s, automatic schedulers etc. What this means is that the entire customer journey from the first touchpoint, all the way through product delivery up to the final thank you email with a feedback questionnaire has been automated, digitised and systemised. Today, you can land on a company website and be greeted by a chatting robot - an algorithm that has been integrated seamlessly into a website, an app or a CRM system to perform all sorts of tasks. For example, Chatbots can book appointments, pay bills, send out info packs, invoices, special offers or reminders, order dinner and suggest holiday destinations or service upgrades. Unlike Siri and Alexa and all other personal assistants that use natural language processing (NLP) techniques to sound like a human, Chatbots are a text-based business assistant that can serve thousands of your customers simultaneously while freeing up your time to handle more complex inquiries and responsibilities that require a real human insight. An important benefit of using Chatbots, is that they can record and therefore process useful meta-data information thereby helping you (the business owner) understand how best to structure your packages and your services, and how to best delight your customers and clients. You do not have to code a Chatbot from the ground up as there are many plug-and-play options that allow you to integrate a Chatbot into your website or your business process / team communications really easily - for example a Facebook Messenger Bot, Slack Bot or Many Chats just to name a few. By 2020, AI-based web solutions are likely to incorporate voice recognition technology and revolutionize the way we interact with bots online. So, powering your Chatbot this year and starting to collect data is a wise step if you want to stay ahead of the game - we are already integrating Chatbots into our clients websites and you should too! Have you ever heard of Facebook Pixel? No? Then it’s about time! Whilst Facebook Pixel is no longer considered as NEW, we see it really picking up it’s momentum right now. We notice many Facebook Ads Gurus pivoting their entire business models and embracing all the NEW exciting earning opportunities that this little piece of code has brought about. Why? Facebook Pixel is a piece of code that allows you to gather powerful insight into your audience, in order to improve your ads performance. You can integrate it into your own website and gather data about your visitors demographics. This insight will then allow you to find more people like them, all within Facebook platform itself whilst they go about their daily scrolling. Facebook Pixel therefore have revolutionised the world of online business which is another trend that is booming right now. We observe the rise of many new age, digital agency models that specialise in things like creating and marketing online courses for industry experts who are looking to scale or even specialist training companies who can train you in how to start-up your own Facebook Ads agency from the comfort of your living room (or an exotic location, as long as there is wifi). So if you are not yet integrating your Facebook Pixel into your website, now is the time to embrace the information age and start gathering data about your customers. With AI comes a lot more possibility to gather, analyse and use data. Today, websites are no longer just static information holders that showcase your products and services and point your visitors to your contact information, but have now become a powerful source of Big Data and business intelligence. Data about potential customers, what they are looking for and how they are looking for it is collected and analysed through an easy to understand dashboards, such as Google Analytics. Clicks, bounce rates, favourite pages, user location, heat maps, demographics, device information, tracking conversions, you name it, Google Analytics can help you with all of that and make sure that you have the necessary knowledge to target your audience and improve conversions on the pages your customers most frequently click on. Simply create an account and start looking at and loving the power of numbers! AMP, or, Accelerated Mobile Pages, creates lightweight versions of web pages to help them load faster on a mobile device. AMP works hand in hand with Google search and will therefore prioritize results in mobile searches so that AMP results appear as “Top Stories” with thumbnail images and headlines and can load up to 10 times quicker on smartphones. The platform we use to build websites for our customers callef Squarespace, makes it super simple to enable AMP with just a simple click of a button therefore allows us to keep Google happy. AR and VR have been making huge advancements in the past few years and are currently hitting the market in the form of consumer headsets and smartphone applications. Playstation and PC platforms for example now offer high fidelity VR experiences and games at affordable prices. Perhaps a more accessible option to the magical world of VR is via Google Cardboard. Youtube already has this feature enabled by default. Open the YouTube app and start playing any video, then tap the three-dot "More" icon and select cardboard, then insert your phone into your VR headset and off you go. Squarespace websites have a native option to display YouTube 360 and VR videos, and also have features that allow the upload of 360 degree and panoramic pictures that can be experienced online through a desktop/laptop browser or in VR on a smartphone. Both a great way to offer cutting edge immersive online experiences to your customers and engage with website visitors in new ways. We are certain that these technologies will keep getting more and more pervasive in 2019 onwards so the sooner you familiarise yourself with them the better. Another point constantly gaining importance in web design is the focus on user interface, and we predict it is going to become even bigger and more important in 2019! User interface design was once all about the look and style of human-computer interactions but has recently evolved into a more fluid and intelligent interface. Websites are reactive to the device used to access them and can change their appearance slightly to adapt to landscape or portrait modes. They can also predict what a user might be looking for and hence make sure there is a quick, easy and intuitive access to that feature. However, such intelligent features are often difficult (i.e. expensive) to hand-code, maintain and custom-design (i.e. keep updated) on traditional website platforms such as Wordpress which are open source (anyone can create a code for it, so if the developer moves on to doing something else, and does not provide updates for the plugins that he created, your website will be left behind). Accessibility stopped being a luxury and became a necessity. Websites need to be equipped with a quick loading speed, simple navigation and provide a purposeful customer journey throughout. Websites need to facilitate for telling an engaging story, be approachable, offer humanised interactions and clear calls to action, all centered around your customers wants and needs. It has also become a necessity to make your website mobile responsive, as website navigation design becomes more “thumb friendly”, realising that most users view their pages from their phones. We’ve been on top of this trend for a while now, and it’s precisely why we chose to build all our clients websites on Squarespace which is natively mobile responsive. Not only is the Squarespace user interface a dream come true to design on, but once the website is finished, it is also incredibly easy to update, making it an ultimate number one choice for our non-techy loving clients. Software-as-a-service solutions are undoubtedly on the rise. The basics are simple, but the results are already shaping the future of web design and online business models. SaaS in a nutshell means that a third-party provider hosts a software online and makes it accessible to users over the internet, mainly through the cloud on a monthly or yearly subscription basis pricing model. Team members or customers all over the globe get access to software, files and data, making communication and services easily accessible and helping us build more streamlined, systemised and lean online empires. Using them can help you save time and money since there is usually no up-front set up fee, therefore allowing anyone, anywhere to start-up a scalable business with all the necessary software services and systems in one place right from their laptop or even a mobile phone. Dubsado is an all-in-one business management tool that is all the hype right now. Why? Because the brilliant team behind Dubsado are always ahead of the curve - they keep co-creating and upgrading the platform literally at the front of their user’s eyes. We discovered Dubsado last year and we were an instant convert because it has given us a way to handle our entire customer journey - from sales pipeline management, through seamless on-boarding, all the way to project delivery, our team uses Dubsado to manage our client’s projects with ease, stay on top of our lead funnel and get appointments booked into the diary automatically (whilst we’re busy creating brilliant brands for our clients). Dubsado has brought about so many benefits to our business. For starters, Dubsado helps us keep everything in one place: clients information, welcome packs, onboarding questionnaire, revision forms, feedback forms, templated emails and anything else we might have to send to our clients at any point of the project delivery process. Secondly, we save so much time! Thanks to an automated booking system that we embedded into our website, a visitor can submit their contact information, project background and anything else they might want to tell us before the call as well as automatically select a convenient date and time for an appointment. The enquiry is then recorded on our system, appointment is sent straight to our diary and the time is blocked out so nobody else can book. All we need to do is initiate the call when it’s time. Lastly, Dubsado allows us to impress and delight our clients. Since we developed our systemised branding process, we get endless compliments on how well organised we are and how well structured the process is. Our clients report that they are also being well informed at every step of the way and that they wish for their business to be as well organised as our is one day! Well, now it can! This year, we’ve started offering Dubsado set-up so that our clients can impress and delight their own clients. We’ve all stumbled across online quizzes on Facebook. And if we’re honest? We probably clicked on more than one of them to find out “which country we should move to, based on our favourite colour”. Interact helps you build your own quizzes to drive traffic to your website, segment your audience and generate leads. Interaction with your potential customers is essential nowadays, and depending on your target audience, a Quiz might be just what you need for your potential customers to discover and love your website? We’re using Interact for our Brand Audit and love it. Squarespace is a SaaS web design platform. It offers an all-in solution for entrepreneurs who want to build their own websites using pre-made Squarespace design templates and for Designers who want to design beautiful custom websites for their clients on a platform that is easy to use and update for their non-techy clients. As part of the subscription, you get ongoing hosting, a great website builder, ready made templates, 247 technical support, SSL security certificate, back-ups, automatic SEO sitemaps, tons of tutorials and much much more. We absolutely love Squarespace. As Designers, we want to spend our time designing the best websites we can for our clients, instead of dealing with tech issues and cyber attacks that other platforms such as Wordpress are vulnerable to, due to their open source code nature (anyone in the world can create and release code for Wordpress, which means it is easy to hack into). Squarespace platform on the other hand, is looked after and protected by an award winning technical team of experts who monitor it 247, so nothing ever goes wrong and all websites stay safe and secure. We are an officially accredited Squarespace Training company as well as Squarespace Website Design Partner. This means, our clients benefit from 20% discount off their subscription plans. Are you looking for a brilliant website design? It might seem like your usual Chat App, but upon further inspection, Slack can offer so much more than that. Despite being an official workplace communication tool, Slack also gives you an easy access to all files that you shared, lets you create channels for teams or projects, has a video chat function, gives you the chance to communicate with team members all over the word that use it and even lets you set reminders while being available on both desktop and mobile. This app is an integral part of our communications here at Visuable, especially since our team works from various locations across the EU every now and then. So if you too, would like to embrace the new virtual workplace trend so that you can jet-set around the world and live the laptop lifestyle dream whilst managing the team scattered around the world, this is a perfect tool for you. Slack will help you stay connected and get your projects moving whilst you’re working from the beach with an iced-tea in one hand and your laptop in the other hand. Try Slack for free or sign up through this LINK to save £100 on any paid plan! 5. Acuity - All that’s left for you to do is show up on time! If you are looking for a scheduling assistant, Acuity might be just what you need! 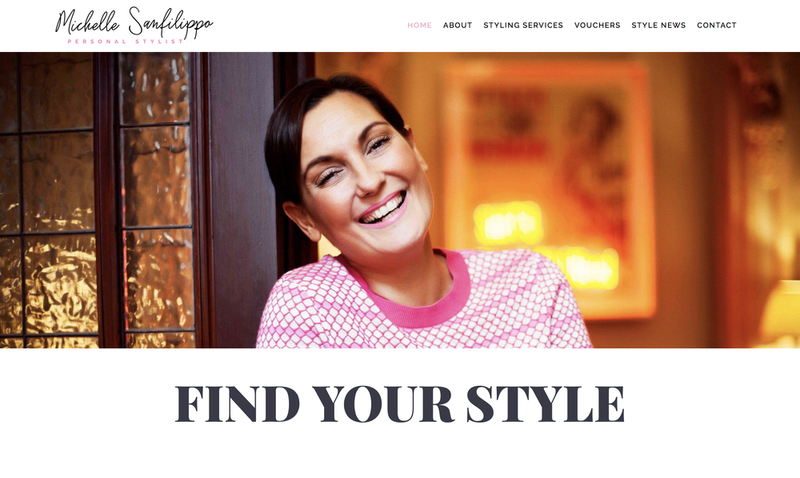 Once you’ve set your availability, clients can book their appointments, receive confirmation, reschedule and even pay online, all by themselves. No more emailing back and forth, no more juggling three different calendars, just ONE simple tool, filling your calendar and freeing up your time. All you need to do? Be on time for the actual appointment! We’re not only using Acuity ourselves, we’ve started offering set-up services to our clients too and they have been blown away with how easy and accessible their scheduling can actually be! Sign up for Acuity HERE, because honestly? Who could say no to mess free appointment bookings for both clients and yourself? When we first searched for an online e-learning platform that integrates with Squarespace so that we can provide our clients with websites that also host and sell their online courses, we were overwhelmed by the amount of choices. It took us a while to work out all the pro’s and con’s. If you are there at the moment, we hope we can save you some of that hassle! We chose Thinkific as an ultimate platform of choice for our client’s needs because it offers exactly what we were looking for: a simple to use course builder, customisable options that can be adapted to match the brand, secure online payments, subscriptions, drip content options, video uploads and more! We can integrate it into Squarespace so that the course page appears as if it was part of the main website, giving the visitor a beautifully seamless browsing experience. So if you’d ask me for a platform to build your Online Course on, Thinkific would be my recommendation, without a doubt! 7. Convertkit - e-mail marketing has never been easier! With Convertkit, there is no need to be a tech genius, as the geniuses who built this software have already made sure that your e-mail marketing is as quick, easy and effective as it can be. With an easy to use interface and simple drag-and-drop and drop-down menus, it only takes a few clicks to set up sales funnels, track purchases and send your e-mails to the right customers. Personally, we love that ConvertKit makes building email funnels such fun and visual experience. If you are also the kind of person who works better with visualised plans, definitely check it out, it could be a game-changer for your marketing! Serif fonts are making their strongest break into web design this year. In conservative web design, serifs were considered a massive no-no for web, but breaking the mold and leaving the past technological limitations behind seems to be the big trend of 2019. The line between digital and print is blurring day by day, as designs of websites are leaning more heavily towards using every design-tricks available to convey the personality and message of the brand. Print magazines are one of the major visual inspiration for techniques of telling stories online and why wouldn’t they be? Those designs have been polished during the past century to a perfection and website’s want their piece of that cake. Whether it is a classic text book serif repurposed for web in a slightly bigger font to communicate the feeling of a story (top image below) or a strong, stroking high-contrast editorial font making sure the website is leaping straight out of the pages of Vogue (bottom image below), the Serif Fonts are here to stay - whether the old crusty developers like it or not! In terms of serifs themselves, the big up and comer of 2019 does seem to be more of a delicate and subtle Buxom Serif that brings in the elegance of the past and turns it into a type element full of life. Another classic design style that is making a strong case for itself this coming year is minimalism. This design aesthetic focuses on careful placement of elements on the web page making sure they all have a meaning and purpose with a lot of space around for them to breath. Minimalism isn’t really making a comeback though, because it never really went out of style. It’s always been one of the top classic aesthetics to convey a calm and serene feeling as well as helping the visitors to find exactly what they are looking for easily. While clear and minimalistic design has always been there, it has become much more popular recently as we see the digital world become more and more noisy. Decluttering itself is an overall trend in the world right now with us seeking to reduce excess consuming in our daily lives. The same ideology applies for digital world and the design of websites. Whilst having a lot of whimsical little elements around to illustrate the personality of your brand still seemed appealing a few years ago, nowadays many web designers gravitated towards using much simpler and carefully thought out combinations of typography, colour and high-quality branding photography instead of a whirlwind of elements often distracting from the key brand message. We love designing in minimal style, here is one of our latest minimal personal brand website designs for And Exhale Yoga. The internet with its limitless potential is evolving more and more towards a multi dimensional interactive experience and even the designs of websites are pushed to get more up close and personal with the user. Some of the biggest trends in multi dimensional web design are the subtle and gentle little movements that make the website come to life. The simplest little engaging elements can make your website stand out and capture the attention of the visitor. In a fast moving world we’ve evolved to focus on movement and change to stimulate and maintain our interest. A parallax (see above in AndExhale Yoga website) for example quickly brings already stunning photos to life keeping us interested and engaged with the website. Not to forget about one of the most important aspects of modern web design: responsiveness. There are millions of different devices people use to browse the internet nowadays, and the websites should look stunning regardless of the device the visitor is using. The web has become a living and breathing space, integrating more and more dimensions and involving more and more of our senses. At the end of last year, we’ve designed a website for an experimental, EU funded project called H-Reality that is working to start the next digital revolution by introducing the sense of touch into our digital reality. And with a project like that, of course they needed a website that was also out of this world! Web design is becoming increasingly humanised through personal brand photography that helps to showcase the passion, values and true essence of personalities behind the brand. Why? Because people buy from people they know, like and trust and those whose values and beliefs they share. Just like you like your friends based on their personality, you also resonate with brands that carry personality traits that appeal to you based on your highest values. Clever brands know this and are using their ideal customer preferences insights to discover what their audiences value most. Later, they embody those exact values and turn them into their competitive advantage by creating engaging visual stories that depict it’s founders as sustainable / fun / high-quality / quirky / romantic or in any other way that might help them resonate with what their ideal clients highest values are. There are too many of us doing the same thing, so thanks to the ability to take on different personalities that can be expressed visually through photos, competing brands are able to build their own tribes of loyal captive audiences. Understanding your brand’s personality will help you humanise it and therefore differentiate it from your competitor’s. 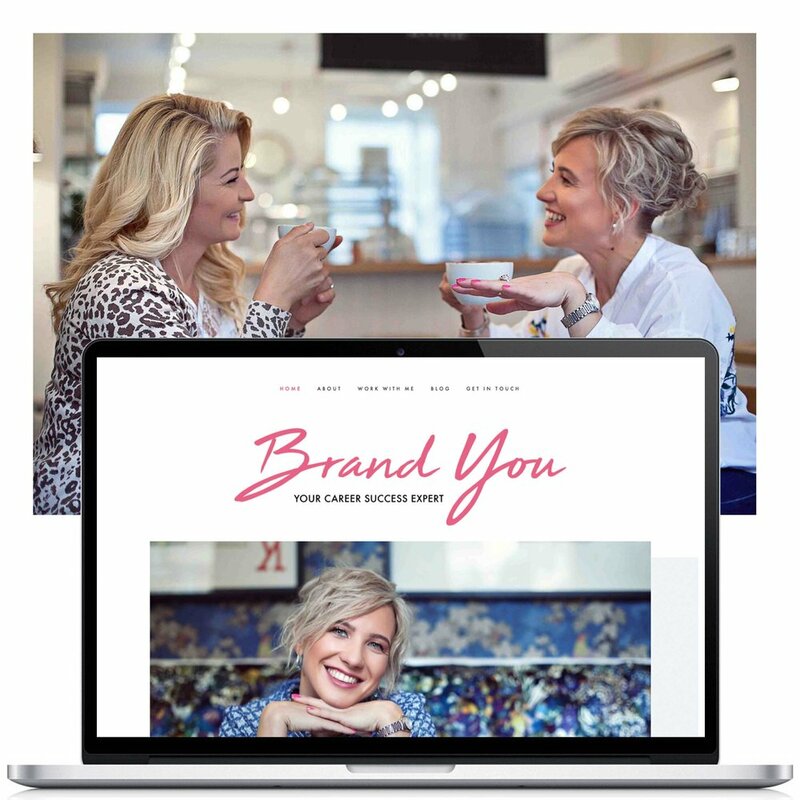 You may be offering something similar in terms of products or service, but your brand personality and imagery will help you set yourself apart and connect on a deep emotional level, no matter which competitive market force you decide to choose for your brand. This is super powerful as you have a full control over it and can curate a perfect brand identity and personality through photos that express your real human essence. We believe that brand photography will only be picking up more and more attention over the coming year. We started to see a massive shift happening in photography sector right now, with just about every photographer adding brand photography to their service offering, or even pivoting their entire businesses towards this exciting, newly emerged industry. We are lucky to have spotted this trend four years ago when it was only just emerging and have already built a great portfolio of over 100 branding photography projects which we are really proud of. As high-quality photos slowly but surely turn into a common occurrence on websites, we now see the steady rise of video content coming to an all-time-high. Users attention span shrinks, and on-the-go users are far more easily captivated by a video explaining what is going on, than long blocks of text they can’t be bothered to read. As a visually-driven company, we’re not the only ones putting emphasis on visuals to portray a message: Google started prioritising visual content (especially videos, which ties in with the multidimensionality trend) so much, that they even feature video content above standard web pages in search results, jumping onto the bandwagon of efficient and easily shareable visual content. Entrepreneurship is a growing trend right now and with a record breaking amount of businesses being launched in the world in 2018, we started to see the rise of ready made branding solutions for emerging entrepreneurs and new start-ups, who can't afford or are not ready to invest in completely custom brand design to communicate what’s at the essence of what they do. This is the trend we're particularly excited about in 2019, as we’ve just launched our new BRAND SHOP. Want to become a Visuable Insider? Get our bi-weekly value-packed newsletter with the latest business insights, web design, photography, branding and marketing trends and exclusive studio insights delivered straight to you. We respect your privacy and will never send you spam. If you would like some professional help from a team of digital branding experts, you can talk to us directly and we will be happy answering any of your questions or simply having a chat. How Millennials changed brand marketing? Branding – Why it’s important to set the strategy first? How brand photography can help you attract more customers? What is a brand? And how do I create one? December 2018: My Guiding Word. Yearly Reflections. Christmas and New Year in Poland and Cyprus.